My friend Linda is in Transylvania, revisiting old friends from previous travels and, because she is the kind of warm and compassionate person who draws wonderful people to her, making many new ones. 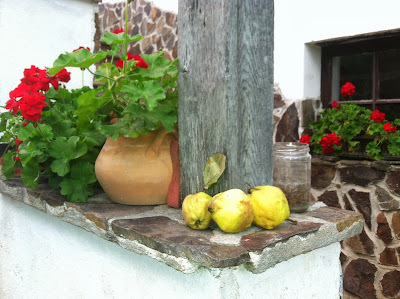 She sent me this country still life from her current trip. You can read about her previous trip involving a village gathering to slaughter a pig and how to make rose hip jam.